Sustainability is a word that conjures different images to different people: trees, our planet as seen from space, polar bears, people holding hands, etc. Many people associate the term with environmental conservation. But is that a fair characterization of sustainability? And what does sustainability mean to specialty coffee? 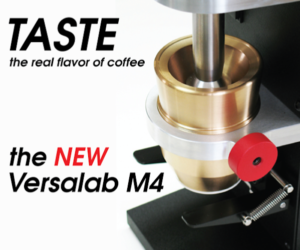 Can it be part of making coffee better? These questions are constantly on the minds of the 29 members of the Sustainability Council of the Specialty Coffee Association of America, a group of volunteers representing roasters, certification bodies, importers, exporters, farmers and nonprofit organizations from within the SCAA’s diverse and growing membership. Established in 1994 as the SCAA Environment Committee, the group evolved over two decades to both reflect changes to our industry and lead the way in securing a viable future for specialty coffee. While the word itself is pretty easily defined, the practice of sustainability is tricky, because even well-intentioned individuals and organizations among us are not living and operating in ways that could be sustained in perpetuity. Sure, we know what not to do but it’s far less clear where we should direct our energy, not to mention how we should measure success. The sustainability challenges that we currently face in coffee threaten the future of the industry. Climate change, coffee farm profitability and labor shortages are examples of issues confronting coffee farming communities today — issues that promise to become more pressing both in the short term and the long term. Although there is much work we can do as individual organizations, tackling these complex issues will require collaboration between different actors in the coffee industry and beyond its borders. 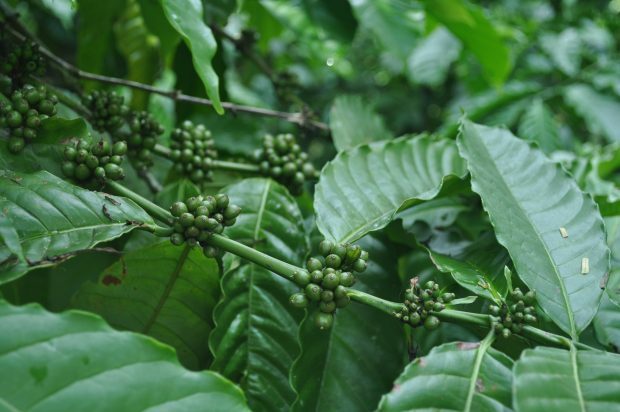 The sustainability council seeks to address threats to our sustainability at a sector level by considering and proposing actions that individual SCAA members and the whole specialty coffee industry can take. Figuring out how to tackle complex challenges like the ones we’ve outlined here depends on energy, thought leadership, and structure, and the Council has all three. Passion for our community and a desire to make it stronger and more inclusive drives members to apply to the Council and commit to spending at least 10 hours a month working in service of the group’s objectives. 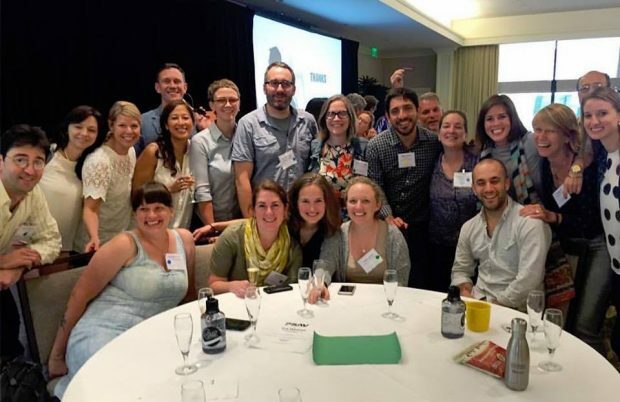 Those applicants selected will have demonstrated their dedication to advancing sustainability within their organizations and careers in coffee, and through their work with the Council will inform fellow SCAA members and larger coffee community about the obstacles facing coffee and the paths that will take us forward. Finally, the Council’s theory of change provides the framework to support the efforts of the volunteers and guide them to the goal of making every cup of coffee have a positive impact. The term “theory of change” was a new one to me when the Council introduced it in discussion a couple of years ago, and while I always hesitate to introduce terms that will sound like jargon, this is a useful one to know — and a theory of change can prove useful to use, if you’re inclined to develop one. 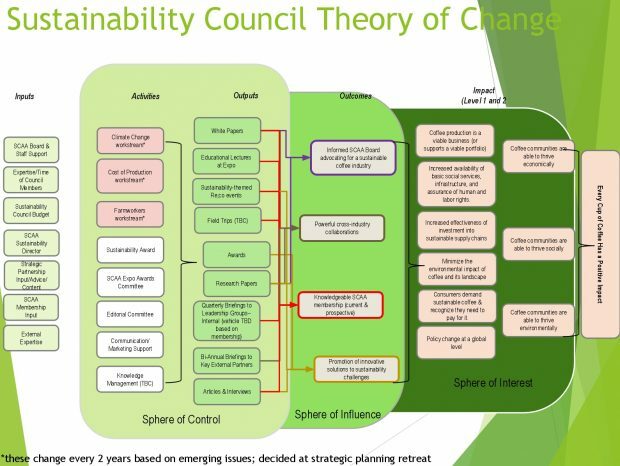 The Council’s most recent Theory of Change diagram. A theory of change organizes ideas and guides decision-making in order to focus an organization or individual on greater impact. By identifying human resources, financial resources, activities, beneficiaries, and desired outcomes, and by linking them all, a theory of change can help a diverse and eager group organize a shared long-term thought path and avoid the temptation to chase every good idea that comes along. Not chasing those good ideas may seem counterintuitive. After all, we’re part of an entrepreneurial community that thrives on and was built upon fresh ideas that were at one time untested. Yet the exhilarating pursuit of “the new” can also be counterproductive when trying to effect long-term change, so the Council has endeavored to create a framework to assess and address specific key issues, beginning with climate change, cost of production and farmworkers. This group believes that understanding how each one of these issues affects coffee is critical to coffee’s ability to survive and positively impact the people and environments that depend on it worldwide. Taken on their own or collectively, these issues present practical opportunities to raise awareness among SCAA members of the challenges and opportunities confronting us through; to engage in meaningful dialogue; and, in time; to change the “business as usual” status quo. Through white papers, lectures at SCAA Expo, articles, workshops, webinars, awards and other venues (both formal and informal), the council casts a wide net to reach current SCAA members and the growing, globally connected coffee community to which we belong. Members of the SCAA Sustainability Council photographed earlier this month. 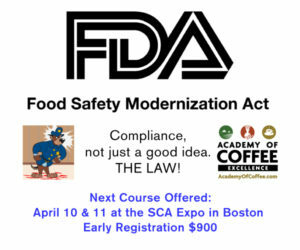 We also look for opportunities to work side-by-side with SCAA members. We conduct research and build projects in these subject areas and industry participation helps embed the Council’s work in business strategy. On the flip side, engaging with the council gives member companies first-hand knowledge and expertise — a head start, of sorts — on the issues confronting all of us. 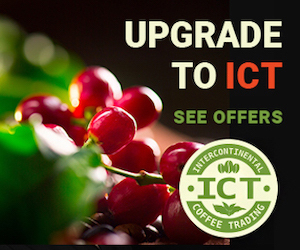 Finally, these collaborative initiatives help the specialty coffee community to identify and advance the initiatives that generate the most long-term, positive impact. The three issues mentioned above — climate change, cost of production and farmworkers — are the Council’s current focus areas, but of course that doesn’t mean that these are the only issues of interest or importance. Suggestions are most welcome, and issues that fall outside of the Council’s focus may well find traction with individual Council members, who collectively offer expertise and insight on more issues than I could hope to list here. We relish the opportunity to gather feedback, answer tough questions, ask tougher questions, brainstorm, and engage in pretty much any way with anyone who is interested in ways to make coffee better. In fact, there’s a hashtag for that: #makecoffeebetter. As the Director of Sustainability for the SCAA, Kim Elena strives to make coffee a leader in global agricultural sustainability and, at the same time, to make sustainability relevant to every member of the specialty coffee community. Her work supporting the Sustainability Council serves both of those goals, and it’s fun, too.